2014.07.10　Check the complete list of theaters. 2014.07.08　Information of the movie's run in North America. 2014.06.27　To all the Anime Expo attendees!! 2014.06.27　To all the JAPAN EXPO attendees!! 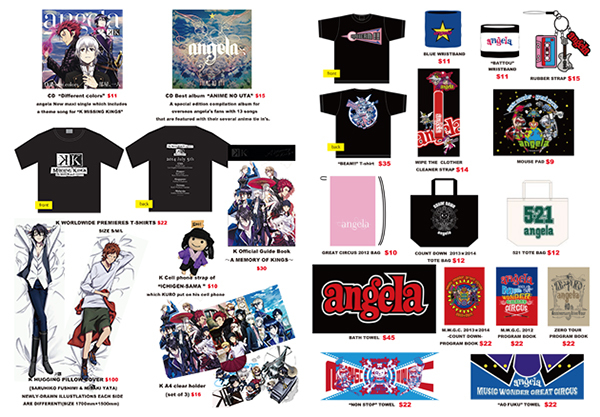 2014.06.18　Japan Expo/Anime Expo Event Schedule and Stage Info Announced!! 2014.06.11　Additional guest for “K MISSING KINGS” for the worldwide premiere in America is now announced! 2014.06.10　Premiere Screening at Singapore, Taiwan and Malaysia! 2014.05.11　The guests for the World Premiere for “K MISSING KINGS”, are announced! 2014.05.11　This special site renewal open!! for “”K MISSING KINGS””, are now announced! The World Premiere at biggest anime event in the world, Anime Expo (America) and Japan Expo (France), has been previously announced, but today the special guests for the World Premiere are finally disclosed in public. At Anime Expo (America), angela will appear as the special guest. angela’s “Different Colors” is the main theme song for the theatrical version, which will be released in July. At Japan Expo (France), Kenjiro Tsuda playing the popular character of the TV series Mikoto Suo, and Yui Horie playing Anna Kushina will appear as the special guest. Also, the countdown staring from April 11 is now over, and the community website for the fans of “K” is launched at 13:00PM on May 11, Sunday. Check out this community site that provides the latest news and gathers all the “K” fans around the world. Please visit the following sites for further information of the World Premiere. “Gakuenjima Jiken” is the event (incident?) where 4 “KINGS” crossed each other. One day, while they were discouraged as they were not able to find a clue about Shiro, they come across in the situation where Rikio Kamamoto and Anna Kushina, both members of <<HOMURA>> are tracked by someone. Premiere Screening at Singapore, Taiwan and Malaysia! In addition to the K Movie premiere in the United States and France on July 5th (local time), Singapore (Cathay Cineplexes), Taiwan (XinYi Vieshow Cinemas) and Malaysia (Golden Screen Cinemas) will also have its premiere screening on the same date. Shortly after the premiere screening in Los Angeles, K Movie will be screened across the United States in over 45 movie theatres starting on July 18th. Canada will have its screening around the end of September for 2 days. Special goodies will be handed out to audiences at each theatre during screening (Available while stocks last). Details will be announced at later date. For further information on the K Movie screening worldwide, check out the link below!! For more details on the premiere screening, check out the sites below. Additional guest for “K MISSING KINGS” for the worldwide premiere in America is now announced! The theatrical version of TV anime “K”, “”K MISSING KINGS””, will be a theatrical world premiere a head of Japan, at the world’s largest anime event, Anime Expo (US) and Japan Expo (France). As previously announced, Kenjiro Tsuda playing a role of “Mikoto Suo”, and Yui Horie playing a role of “Anna Kushina”, will appear at Japan Expo. For Anime Expo, angela is the special guest who will release the main theme song for “K MISSING KINGS”. And now, Masakazu Morita, who plays a brand new character for the theatrical version of K “Yukari Mishakuji”, is newly confirmed as the special guest for Anime Expo. The Worldwide Premieres of “K MISSING KINGS” featuring gorgeous special guests, are just around the corner. Please visit the special site for further info. 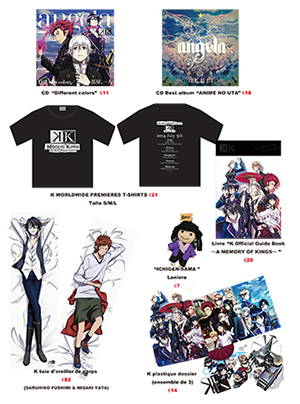 Event schedule and Stage info for the K MISSING KINGS The World Wide Premieres taking place in the US and France has been announced! Los Angeles, California, June 20, 2014 – LA based film distribution company ELEVEN ARTS in partnership with Japanese animation label STARCHILD, has just released the first official theater and showtime list for their limited theatrical run of K MISSING KINGS. The film is scheduled to be screened in over forty-five theaters beginning July 18th. Tickets will go on sale for most locations starting today, with more showtimes and dates are to be announced at a later date. While supplies last, all valid ticketholders in attendance will also be receiving an exclusive B4 sized movie program. The U.S. theatrical premiere at Los Angeles’s Downtown Independent will also feature a special guest appearance by voice actor Masakazu Morita and movie producer Gou Nakanishi. In the movie, Morita plays the role of a new character Yukari Mishakuji, senior clansman to primary character Kuroh Yatogami under his former master Ichigen Miwa. A special Q&A session will be held with Morita and Nakanishi after the show, in which fans may be called upon to ask them questions. 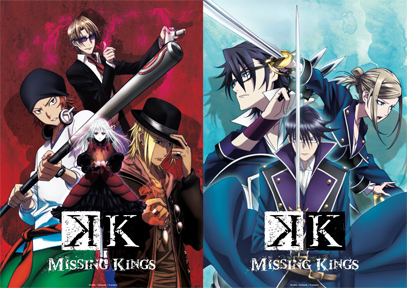 Based on the hit anime K, K MISSING KINGS picks up where the series left off. Featuring the same director and scriptwriter as the series, this movie brings the characters that you’ve grown to love in the same spirit of action, honor, and loyalty. K MISSING KINGS also sees the return of popular voice actors such as Daisuke Namikawa, Daisuke Ono, and Tomokazu Sugita, reprising their roles for the first time on the big screen. The story starts some time after the Island Academy Incident, in which four of the seven great Kings crossed paths. Since this time, silver clansmen Kuroh Yatogami and Neko have been searching for their master, Yashiro Isana, the Silver King. Their search having turned up fruitless, the two begin to give up hope, until they encounter Anna Kushina and Rikio Kamamoto, two members of the red clan HOMRA being chased by someone. Written by the collaborative group collectively known as “GoRa,” K is the name for the original animation project that was broadcast in 2012 and quickly gained popularity worldwide. It tells the story of seven individuals known as “Kings,” each ruling their own personal clan. Endowed with mysterious powers, these Kings lead their followers into battle against each other. This popular anime series was produced by GoHands, the studio behind hits such as Mardock Scramble, Coppelion, and Seitokai Yakuindomo. GoHands and GoRa will both be returning to direct, write, and produce K MISSING KINGS, the feature length film and brand new follow up to the series. In a world with a somewhat different history than our own, Yashiro Isana, known to his friends as Shiro, is a regular carefree high school student attending the island academy of Ashinaka High School. That is, until he is attacked one day by the members of HOMRA, a violent group of ruffians with strange powers, who mistake him for the murderer of one of their comrades. In addition to this, a lone youth by the name of Kuroh Yatogami is also convinced of Shiro’s guilt, telling him that he will put an end to his evil ways. Now, Shiro must prove his innocence or forfeit his life to those that are after him. Yet as clues surrounding the murder surface Shiro discovers that he may have some questions about his own role in the incident and his identity. ELEVEN ARTS is the Los Angeles based film company responsible for distributing many critically acclaimed Japanese live-action and animated features, to North American audiences. ELEVEN ARTS’s major live-action titles include Japan Academy Awards winner Memories of Tomorrow (starring Ken Watanabe) and Oscar nominated director (with The Twilight Samurai in 2004) Yoji Yamada’s samurai film Love and Honor. ELEVEN ARTS is also a respected distributor of popular animation titles such as the Evangelion franchise, Fullmetal Alchemist: The Sacred Star of Milos, Puella Magi Madoka Magica The Movie Part 1: Beginnings/ Part 2: Eternal/ Part 3: Rebellion, Anohana the Movie, and TIGER & BUNNY THE MOVIE: The Rising. For additional information or to view the company profile, please go to http://www.elevenarts.net. STARCHILD is known as the leading animation label for many years and has produced hit animation titles such as NeonGenesis Evangelion, Love Hina, Fruits Basket, and Knights of Sidonia. Also, is known as the record label specializing in anime music by voice actor/actress such as Megumi Hayashibara, Yui Horie, and so on. To all the JAPAN EXPO attendees!! ◆Ticket will not be re-issued in case of loss or damage. ◆The sessions will end at the stroke of above mentioned time. ◆One ticket per person. One time（photo session or autograph session) use only. To all the Anime Expo attendees!! ◆One ticket per person. One time use only. ◆No audio recording, video recording, or photography is allowed. ◆Ticket reissue cannot be accepted. Information of the movie's run in North America. Hey U.S. fans! 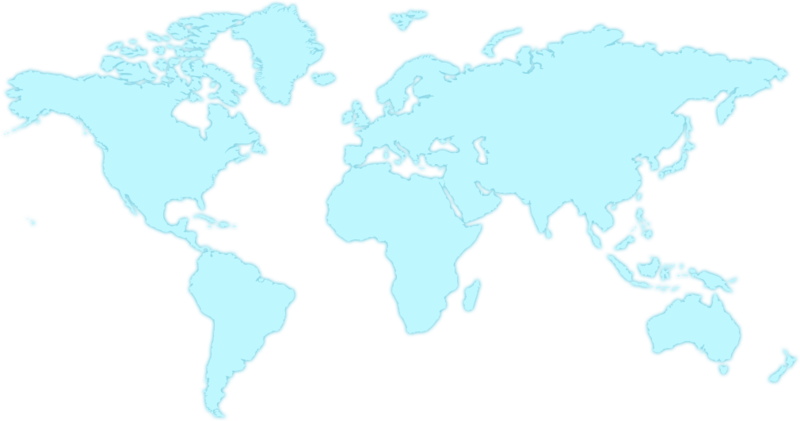 Want to stay up to date on the latest news regarding K MISSING KINGS in the United States? Then make sure to check out and like ELEVEN ARTS, the official distributers for the movie’s run in North America! Check the complete list of theaters. Didn’t get a chance to catch the world premiere of K MISSING KINGS at Anime Expo in Los Angeles last weekend? No problem! ELEVEN ARTS is bringing it to limited theaters throughout the United States! Like them on Facebook for all the latest news and see the complete list of theaters on their official page! Take a look at the cover of the special limited edition movie programs for K MISSING KINGS, which will be given away at screenings of the movie while supplies last. The English edition will only be available at theatrical screenings in North America, brought to you by STARCHILD and ELEVEN ARTS. Make sure to check ELEVEN ARTS’s Facebook page for more of the latest news on the North American release!